A Premium Responsive One Page WordPress Theme, packed with 6 beautiful child themes and handy plugins. 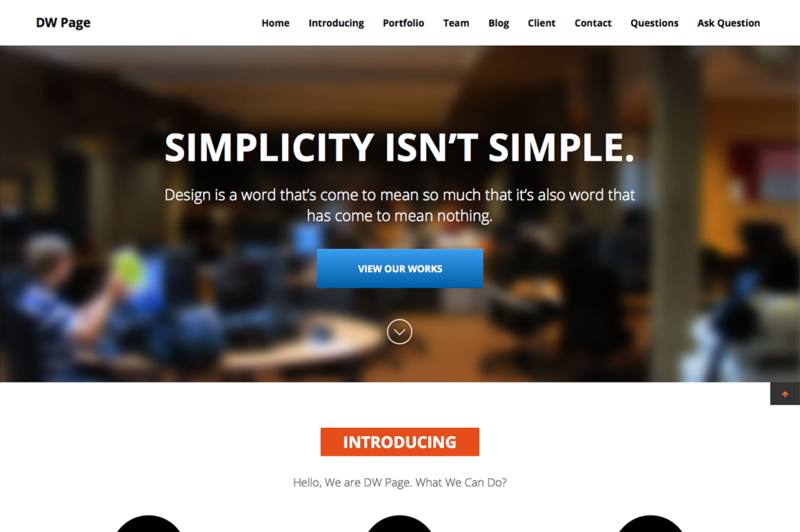 Beautiful responsive one page WordPress theme. 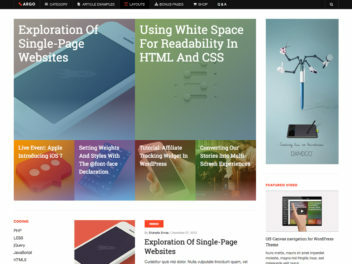 Say goodbye to heavy and bulky sites as DW Page one page theme is here for you to present your content beautifully. 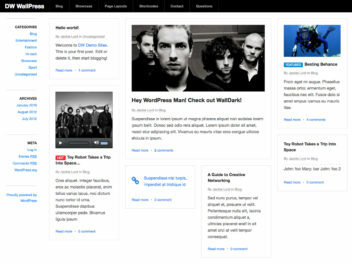 The theme is packed with 6 beautiful design theme styles, 3 attractive bonus landing pages, and useful features. All you need on a single page. 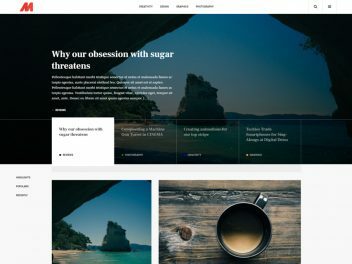 All-in-one solution for a clean and light WordPress site, presenting your content in one page using pop-ups and sliders. Packed with up to 5 child themes that you can choose from: Metro, Modern, Retro, Solid, and Christmas. The theme provides up to 3 custom post types with friendly admin panel: Projects, Testimonials, and Clients. How to add a title with button (like the front page hero in DW Page) to image carousel?